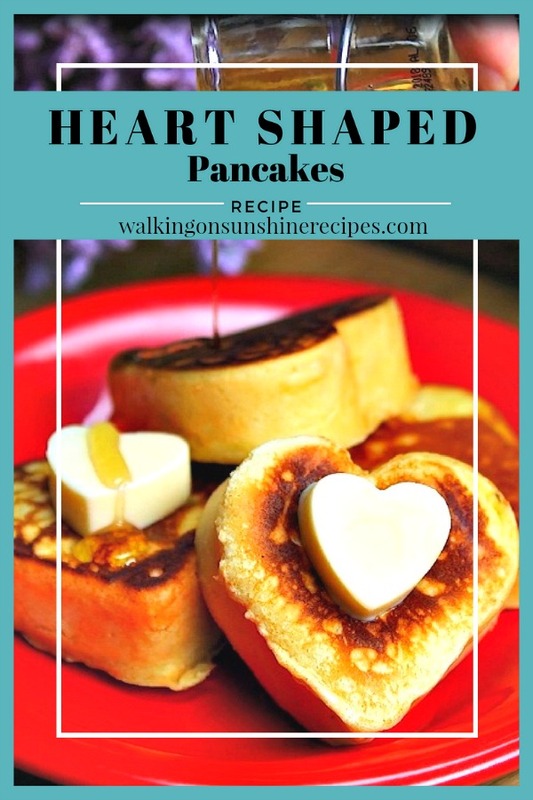 Heart Shaped Pancakes are a fun treat to make for the weekend or any day you want to make breakfast special for your family or someone you love. 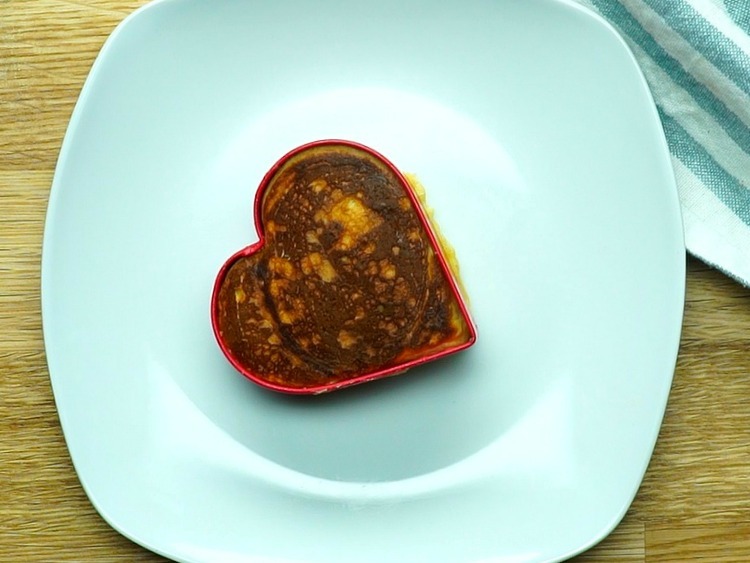 Regular pancakes are yummy, but it’s so much better eating a heart-shaped one! 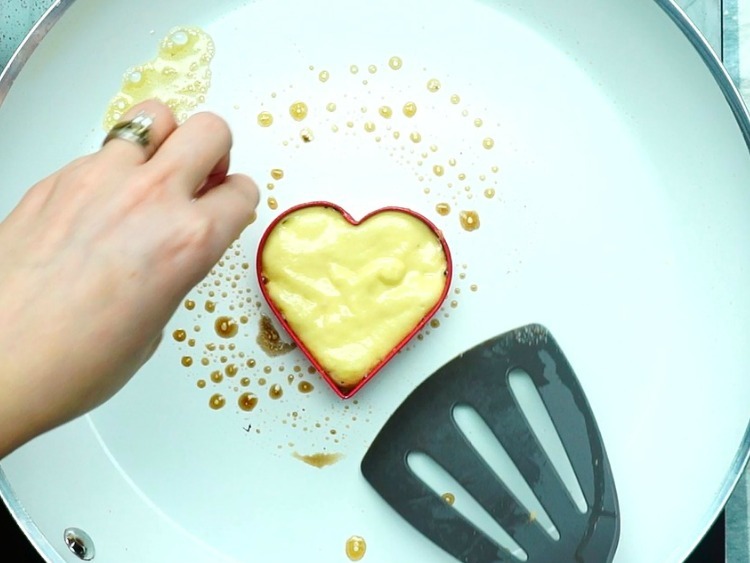 Breakfast can be so much fun, especially on the weekend when you have a little more time to spend putting something together that’s a little extra nice like these Heart Shaped Pancakes. Maybe someone is celebrating a special birthday or you want to make these pretty pancakes for your wedding anniversary. 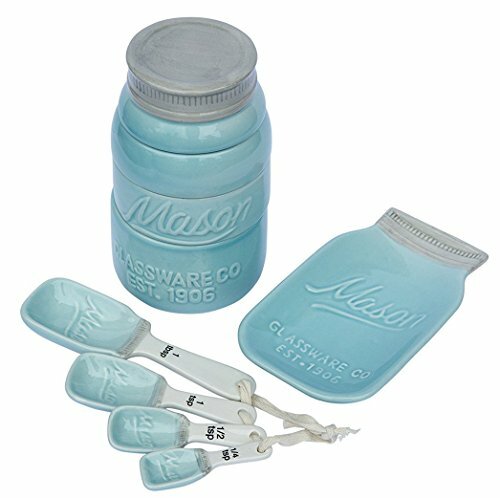 They’d be even great for Mother’s Day! 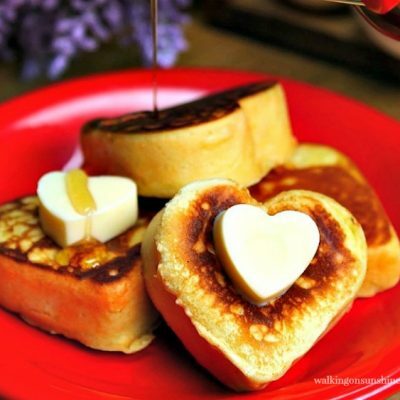 I think with a little bit of help the kids can make these with dad and serve them to mom in bed or set a pretty table to surprise mom with pretty heart shaped pancakes, warm syrup and maybe some blueberries or strawberries on top. 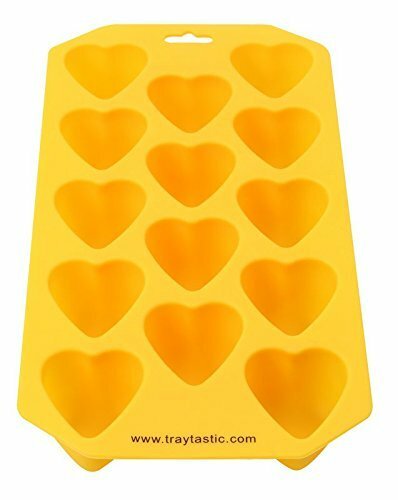 And you might even want to try to make heart shaped butter using the fun molds I have in my WOS Kitchen Shop too! You don’t need a special pancake mold or tool to make these pancakes either. 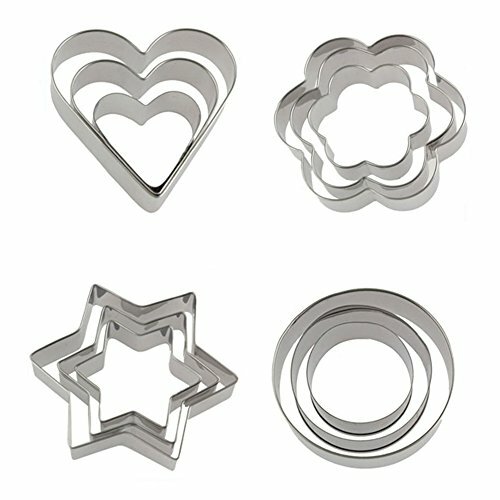 All you need to make these fun shaped pancakes are metal cookie cutters. 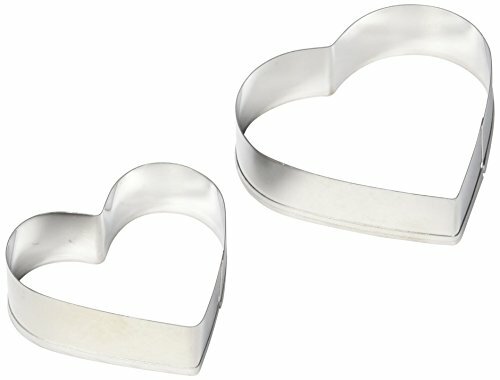 Do not use plastic cookie cutters! 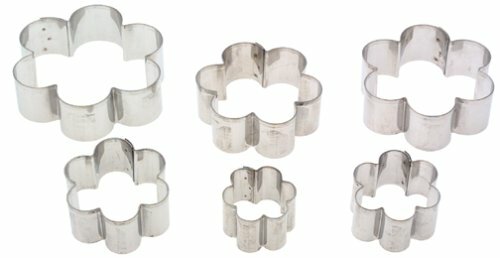 I’m sure you know what would happen if you did, so let’s stick with metal cookie cutters, okay? 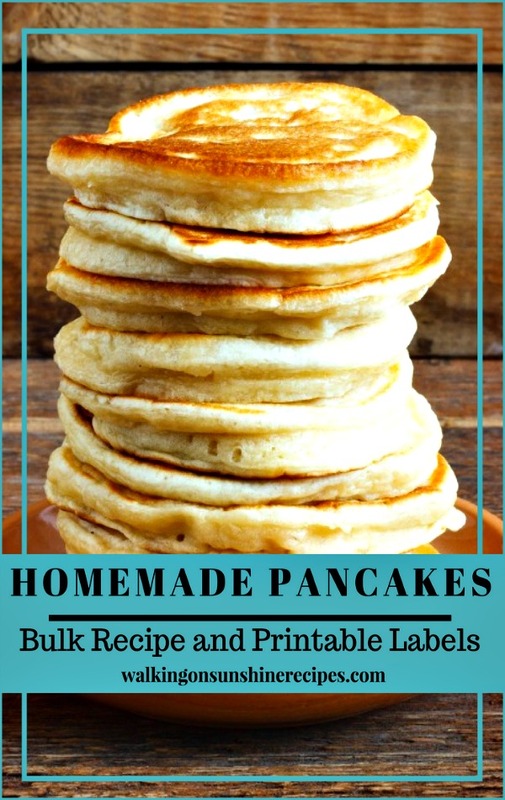 You can use a prepacked box of pancake mix or you can use a homemade pancake recipe. Make sure you spray the inside of the metal cookie cutter well with non-stick cooking spray before you place it in frying pan and before you add the pancake mix. 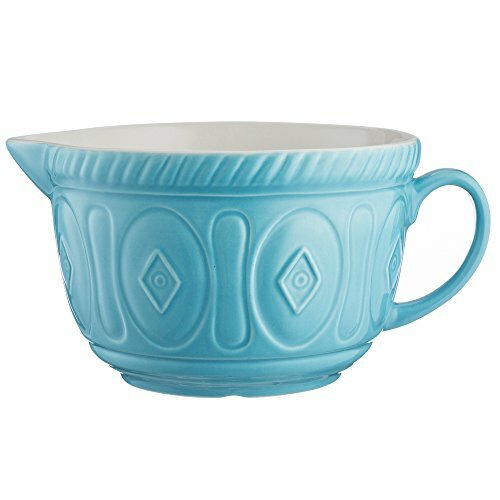 Serve with tons of warm syrup or even homemade strawberry syrup. 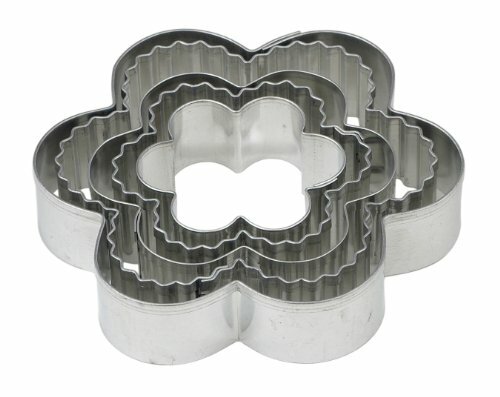 Place your favorite cookie cutter in the pan and spoon batter into it. Wait a minute, then flip with cookie cutter. Cook other side until golden brown. Remove from the pan and carefully remove from cookie cutter. 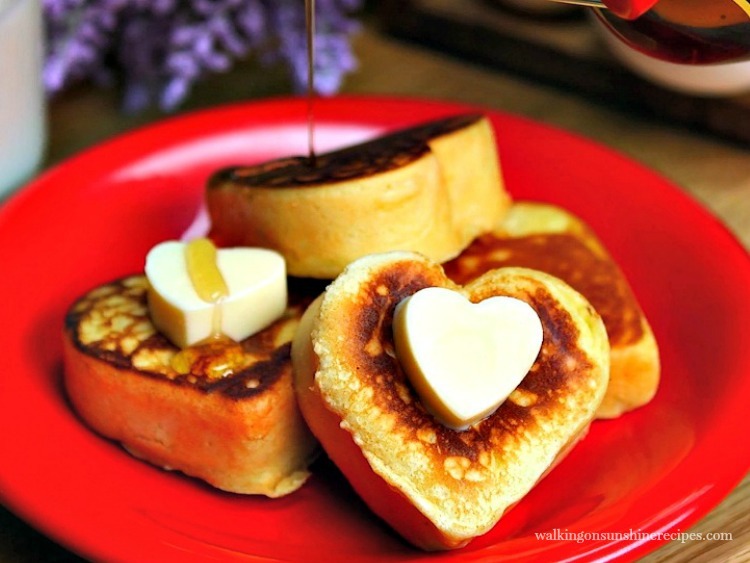 Heart shaped pancakes are a fun way to serve pancakes for special occasions. 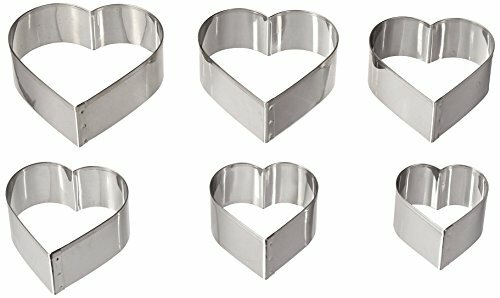 Any metal cookie cutter will do, but hearts are always nice when you want to say you love someone! Prepare pancake mix according to box directions. Or you can use your favorite homemade recipe. Put a little bit of butter in the pan. Place cookie cutter in the pan and spoon batter into it. Wait a minute, then flip with cookie cutter. 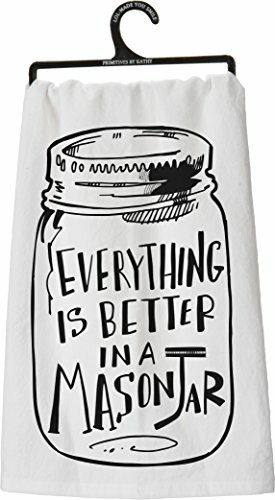 Repeat until you have a plate full of pancakes. 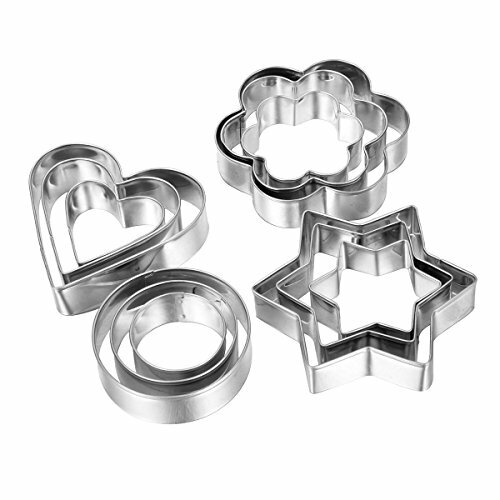 You can use any shape cookie cutter you want, just make sure they're metal!